When was the last time you visited the Denver Botanic Gardens? If it’s been a while then it’s time to head back and if you’ve never been then you don’t know what you’re missing. Here is their official mission statement: “The Denver Botanic Gardens strives to entertain and delight while spreading the collective wisdom of the Gardens through outreach, collaboration and education. Our conservation programs play a major role in saving species and protecting natural habitats for future generations.” Throughout the year, the Denver Botanic Gardens offers a wide variety of programs for all ages. As the warm weather approaches, they’ll gear up for their annual summer concert series. And don’t think that these exquisite gardens are “off-limits” to amateur green thumbs like yourself. Everyone is encouraged to participate in learning seminars and help with sprucing up the many exhibits. This is a perfect place to go if you enjoy being surrounded by nature and get your hands dirty. As it might happen, your own backyard could be providing you the opportunity to “get dirty” as well. A trip to the Denver Botanic Gardens might be all the inspiration you’ll need to renew your landscape. How far will you go this season? Many local gardeners like to reinvent their back and front yards every growing season. This is easy to accomplish thanks to the many nurseries located around the Denver area. Here you’ll find willing partners to help you pick out your next batch of flowering shrubs, plants or fruit trees. Before starting your project, you’ll first want to wipe the slate clean, so to speak, by clearing away your backyard of all manner of yard waste. This past winter was one of the driest on record. As a result, many Denver homeowners are looking at backyards chock full of dried out bushes and yellow lawns. Replanting is the order of the day once all that dead growth is removed. If this seems like a daunting task, fear not: There are some local based professional junk haulers who are standing by ready, willing and able to pitch in and help you clean up your backyard – Junk King Denver. Just because a company specializes in junk removal doesn’t mean they are limited to household items like old furniture or appliances. Junk is junk whether it is manmade or made by Mother Nature. These junk haulers are the perfect team to call on when you want to replace dried out sod with new grass. They won’t do the planting but they can certainly load up all your piles of dirt into the back of their empty truck. 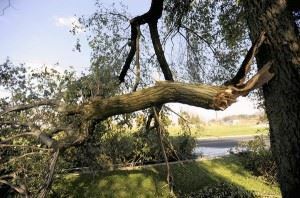 They can also gather up and fallen tree limbs or other types of yard waste into one removal session. Beyond the organic items, Junk King Denver could take way old patio furniture that has rusted or chunks of concrete from a patio. And yes, they can even take away any junk you have in your home or garage you want to get rid of. How does your garden grow? It all starts with a good cleaning! This entry was posted in Denver Junk Hauling, Denver Junk Removal, Denver Yard Waste, Junk King Denver and tagged Denver Botanic Gardens, Denver Hauling, Denver Yard Waste Removal, Get Rid of Yard Debris, Junk King Denver on March 30, 2012 by Paul Durant. Last updated August 1, 2017 . How old is your refrigerator? If you have to think about the answer to that question then it really might be time to take the plunge and buy a new refrigerator. Many Denver residents are extremely environmentally conscious when it comes to purchasing goods. While it is true that it uses up a lot of energy and resources to make a refrigerator it could be that your old model is actually using up more energy than it would take to build a new refrigerator. The older your refrigerator the more likely it is to be a bigger drain on energy resources. This is why the Environmental Protection Agency developed the Energy Star program in the first place. Energy Star is a program that is overseen by the EPA and the Department of Energy. These two agencies have created a set of standards that encourages manufacturers to improve the design of their devices. In exchange for that these companies are rewarded with tax credits and other benefits. For the consumer they can buy with confidence knowing that an appliance with the energy star label is going to help reduce their monthly electric bills. One way to think about this is that if your refrigerator was manufactured in the 1990s you’re probably paying at least $100 more a year to keep that fridge cool than you would with a more modern version. Next to the energy savings you might be getting with your new refrigerator you also want to consider your available kitchen space. 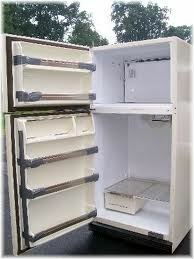 Just because the refrigerator the store looks like there same size as the one in your kitchen doesn’t mean it will be. You really don’t want to get into a situation where you have a new refrigerator delivered that can’t fit into your cabinet space. Measure the dimensions of your current fridge at least twice before heading out to shopping. Once you have those dimensions written down you’ll have the opportunity to pick through a variety of different refrigerator models. There are side-by-side, top freezer or bottom freezer refrigerator models. Each of these designs offers up their own individual benefits. A bottom freezer design is perfect for someone who doesn’t use their freezer a lot and would rather have most of their food items at eye level. You’ll also have the opportunity to upgrade your “refrigerator experience” by adding special features such as movable shelves that also slide in and out, built-in ice makers and water dispensers and temperature control bins. On some models there are even plasma television screens built right into the refrigerator door. Along with all the shopping considerations you also need to be thinking about how you’ll get rid of that old refrigerator. You can pull off this task by hiring a professional Denver Junk Removal team who has the experience in taking away this kind of heavy object – Junk King. This same experienced and insured junk hauling team will be able to take away anything else you want to get rid of during same scheduled appointment. Think of this as a kind of bonus junk removal: you get rid of the old fridge, make room for the new fridge and clear your house of clutter all with one appointment! This entry was posted in Denver Junk Hauling, Denver Junk Removal, Junk King Denver, Old Refrigerator Disposal and tagged Denver Hauling Services, Denver Junk Removal, Denver Refrigerator Disposal, Get Rid of Refrigerator, Junk King Denver, Refrigerator Hauling on March 27, 2012 by Paul Durant. Last updated August 1, 2017 .